Yesterday via the Amazon blog we learned that the company has been working on a neural TTS that can model speaking styles with only a few hours of recordings. Among the problems in speech synthesis is the lack of tone and emotion. Finding correct intonation, stress, and duration from written text is probably the most challenging problem for years to come (per research in the Helsinki University of Technology). The way you customize a synthesized speech today is through SSML, a speech markup language. SSML allows configuring prosody, emphasis and the actual voice used. The problem is that people change their speaking style depending on context and the emotional state of the person. What Amazon is saying in this announcement is that their latest TTS can learn a newscaster style from just a few hours of training, which it’s significant because with their previous model tens of hours were required. This advance paves the way for Alexa and other services to adopt different speaking styles in different contexts, improving customer experiences. The same way the neural model might work for newscaster style might work for other styles. Amazon also said they created a news-domain voice. 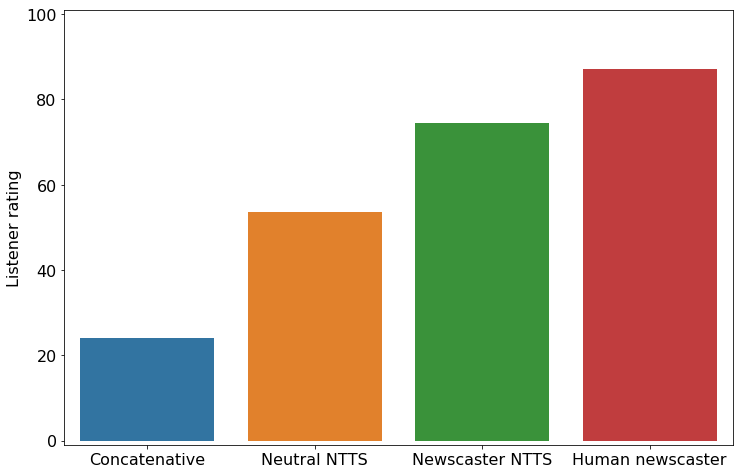 Listeners rated neutral NTTS more highly than concatenative synthesis, reducing the score discrepancy between human and synthetic speech by 46%. Let’s listen to the female voice with the newscaster style and judge for yourselves. Very realistic news style. Isn’t? The Future of Voice and the implications for news. (I expanded on this on our last newsletter, subscribe). According to the report, consumers love smart speakers, they don’t love news from smart speakers. One of the main reasons the report concluded is Synthesized voices are hard to listen for many users. The report also concluded that news updates are among the least valued features in smart speakers. This new development of neural TTS by Amazon could mean more options of customization for brands looking to get a unique persona and voice in smart devices. Definitely, this is a very well received improvement in TTS. I get more and more interested in synthesized speech every day as I realized is going to be a fundamental part of the future. That future might not be that far off: last week Chinese News Agency Xinhua announced the “world first” TV anchor at the World Internet Conference. The anchor features a virtual AI controlled avatar powered by synthetic speech. The Revolution will be synthesized, my friends. Thank you for listening, you have a great day. As always you can find me on Twitter as @voicefirstlabs or Instagram as @voicefirstweekly. A showcase for smart glasses opened yesterday, marking November 12 as the day (per the company) that the first world’s smart glasses store opened. North is the Canadian company who develops futuristic HCI products. 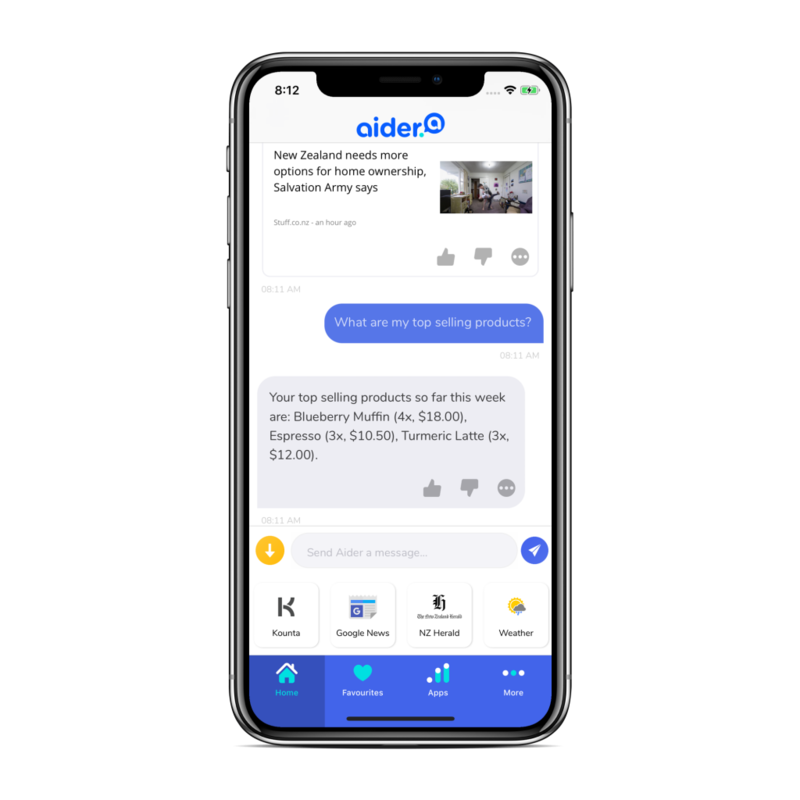 The company has raised over 135 million from investors, including the Amazon Alexa fund. Focals is the smart glasses the company is presenting, exclusively available in their stores in Brooklyn, New York and Toronto since yesterday. The custom made glasses features a display that only you can see, I’m not exactly clear about the technology behind this as it’s not expanded in their webpage, I’m very curious and excited to know more about it. Focals includes visual summaries, smart text and emojis and voice to text. It also comes with a navigation feature with search, turn by turn and the ability to hail an Uber. The display is controlled with a Loop, a small finger ring with a tiny, four-way joystick that’s included in the purchase, along with a case that doubles as a battery charger. The glasses sync with the user’s Android or Apple iOS device via Bluetooth. Focals comes with Alexa built-in. 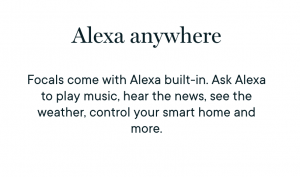 According to the showcase page you can Ask Alexa to play music, hear the news, see the weather, control your smart home and more. I’m guessing you can do anything that Alexa allows you to do. Technology that’s there when you need it, gone when you don’t – hidden by design. The glasses comes in stylish designs, a la Warby Parker, maintaining the idea of keeping the technology invisible for only when you need it. The store is also selling the experience in the shopping process. You have to be custom fitted for Focals.It’s crucial to understand how the technology looks and feels,Adam Ketcheson, Chief Marketing Officer of North said to The Bridge: It’s incredibly important for people to get a hands-on experience, especially at our price point. The entire retail model is so people can immersively understand what it is and get the right fit. 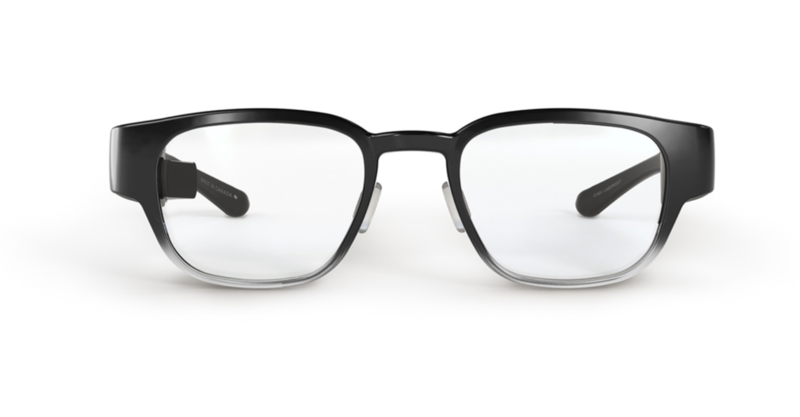 Focals will be offered in a variety of styles at $999. Smart glasses have been emerging and dying for a while now. Google Glass and Intel’s Vaunt both shut down in 2015 and 2018 respectively. What makes Focals different? The focus on design and style more than the geek outlook of Google Glasses might be a compelling point. Focals are voice activated, but their first selling point is for the technology to be there only when needed, otherwise looking as regular glasses. They are not advertised as a technology, geeky gadget, more as helping companion. As it often turns out in technology advancements, timing might turn different for North glasses. Waiting next time I go to NYC to visit the store and try the Focals. Let me know what you think on Twitter @voicefirstlabs or Instagram at voicefirstweekly. I’m Mari, this is VoiceFirst Weekly flash briefing, have a great day and I’ll talk to you all tomorrow. We have an special episode tomorrow with the first human guest in the show. Don’t miss it. See ya.